Sathir dance was the basic origin of Bharatha Natyam. When the Tamil temple dance Sathir reached a stage of almost closure, quite number of reformers came forward with firm determination to rescue the art form, and tried to revive the art. By reforming art in a disciplinary manner by removing the entire social stigma attached to the art. Among them the most outstanding personality who contributed considerably to reform the art was E Krishna Iyer. Krishna Iyer was born on August 9, 1897, in the Thirunelveli district of Tamil Nadu. He gained fame getting involved in the Indian freedom movement. He mobilized the public by singing Indian patriotic songs, enacted by Subramaniya Bharathi. In 1926 he toured the whole South India. His powerful voice impressed the public. To pass his message he dressed himself as a female and danced on the stages to create vigilance among the public, understand the worth and value of the national art form and patriotic culture of the land, during the alien rule. He had his education at the St Xavier College, and passed out as a lawyer from Madras Law College in the Year 1922. Yet E. Krishna Iyer was an advocate by profession. He learnt the traditional art forms under various outstanding experts. He learned the classical music under Papankulam Neelakanda Iyer and Srinivasa Iyer. To revive the traditional dance, he learnt Sathir, from Jagathambal a celebrated Sathir dancer. And further he learned some more dance lessons under the Bhgavatha Mela exponent Mellatur Nadesa Iyer. He was an excellent and exceptional writer. Through his exceptional writing skills also he induced the public to understand aesthetic value of the divine dance. Being an exceptional writer and good educationist he delivered a series of public lectures including lecture demonstrations to make the general public to understand the essence of dance. His simple living and he always preferred to dress himself in a typical Indian manner with Khadi dress. His simple living as a socialist further attracted the general public in the national movement of India. During the first quarter of twentieth century, Sathir was, with certain modification, renamed as Bharatha Natyam. In Kalidasa’s epic ‘Malavikagnimithra’, he acted himself as Malavika and revealed the art world that he was a matchless actor and excellent dancer. Many times, he dressed himself as a female and danced. He organized an All India Music Conference in 1926. 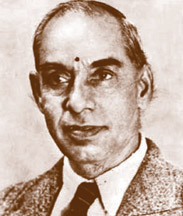 He was also one of the founder members of Madras Music Academy, which was founded in 1928. He wanted to have a dance program of Tiruvalliputtur Kalyani's two daughters. It became a major issue during those days between the two factions: anti Nautch movement and the supporters of pro Nautch movements. He arranged a dance program for those two sisters in 1933, and the program was well received by the public. As a result, the music academy started approving the spiritual value of dance and gave a respectable status to the art. E. Krishna Iyer was not only a social and cultural reformist but also a nationalist. Those who opposed his earlier efforts started appreciating his efforts in cultural reforms. The foremost among them was Dr. Muthulakshmi Reddy who criticized Krishna Iyer for his efforts in reforming the dance; latter eventually she started appreciating his efforts and paid great tribute to his efforts and became a fan of Krishna Iyer. He wrote two major works on dance and music. One was on dance ‘Bharatha Natyam and Other Dancers of India'. The other book that he wrote on music is ‘Personalities in Present Day music'. Besides, to honour his lasting contribution to Classical Bharatha Natyam, Suruti Foundation awarded Krishna Iyer Medal. He passed away on January 3, 1968. He died before he received the Padmasri award, maybe it was too late to consider his outstanding contribution for this prestigious Indian National award.